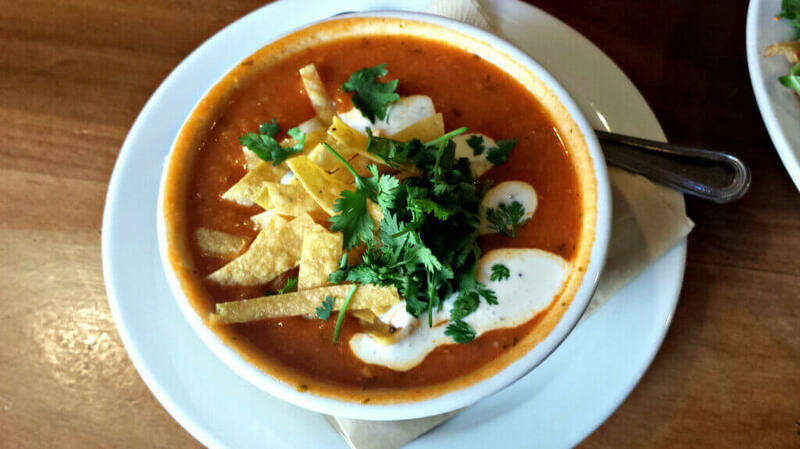 Soup is the ultimate comfort food. It’s easy to make, filling and full of nutrition thanks to the fact that it’s often made with nutrient-dense vegetables, legumes, and other fiber-filled ingredients that combine to deliver appealing textures and great flavours. In addition, soup consumption is linked with lower obesity risk, and eating soup before a meal can help control body weight. Soup makes you feel full due to its high water content, and studies have shown that eating soup as an appetizer can decrease calorie intake at a meal by about 20%: quite simply, starting with soup means you’ll feel fuller faster, and be less inclined to pick at the bread basket. 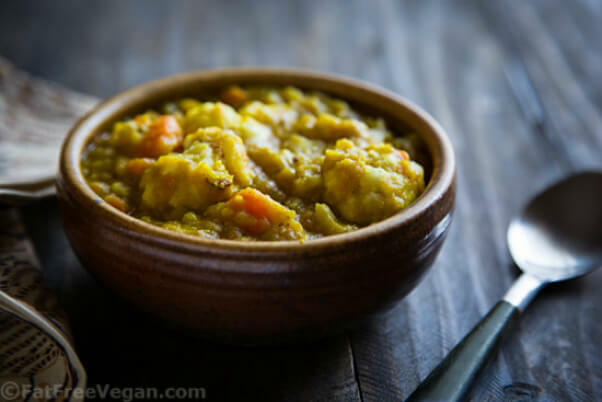 Vegan soup recipes are especially excellent for health and weight loss. They contain very little in the way of saturated fats, but are high in proteins, fibre, micronutrients and vitamins. 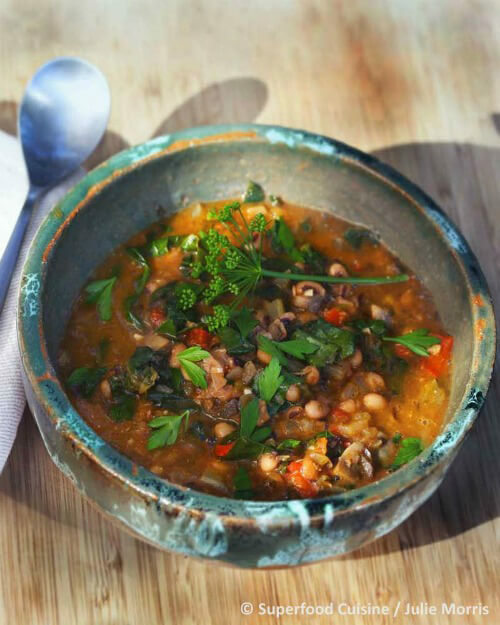 To add even more benefits to your bowl, garnish with detoxing coriander, omega-rich roasted pumpkin seeds, iodine rich seaweed sprinkles or sea salt, calcium rich sesame seeds or a dash of metabolism-kicking hot sauce. They’re appetizers and they’re soup, and they’re called “soupetizers.” Come on—that’s adorable! 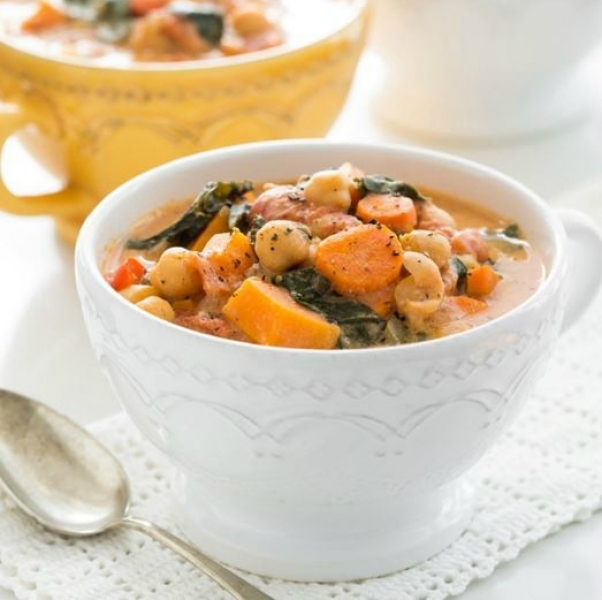 It’s full of flavorful garlic, basil, thyme, and paprika, so what’s not to love about this soup? This recipe is perfect for a crowd or great for one if you want to enjoy leftovers for a few days. 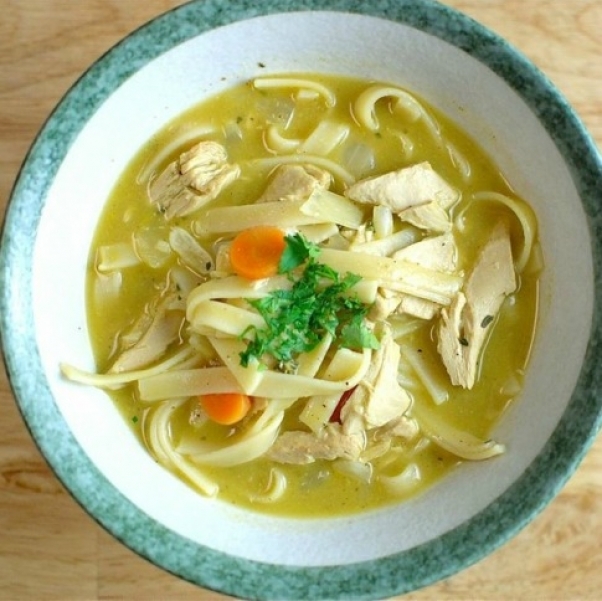 Beyond Meat’s protein-packed, plant-based chicken is the star of this cozy soup recipe that also includes sage, celery, and carrots. This recipe, from Superfood Cuisine: Cooking With Nature’s Most Amazing Foods, uses delicious seaweed flakes and chipotle powder for a unique flavorful twist. Any soup with avocados is enticing, and with jalapeño peppers and fresh lime, too, this is the perfect one to spice up your winter. 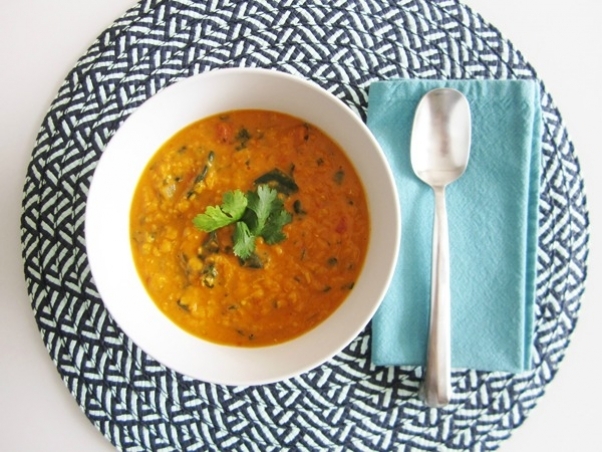 With a thick coconut milk base, red lentils, and curry powder, this soup will help you beat the wintertime blues. Noodle soup is found in cultures around the world, because it’s the perfect affordable and delicious meal. 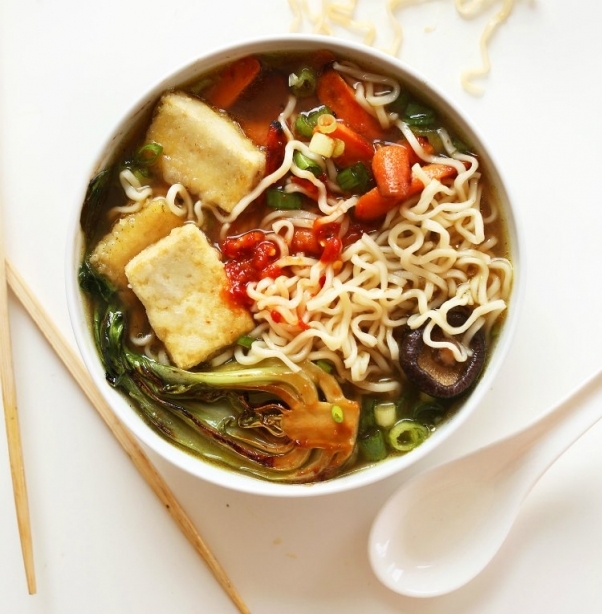 This vegetable-powered ramen recipe with shiitake mushrooms, chopped green onions, and baby bok choy is simply divine. 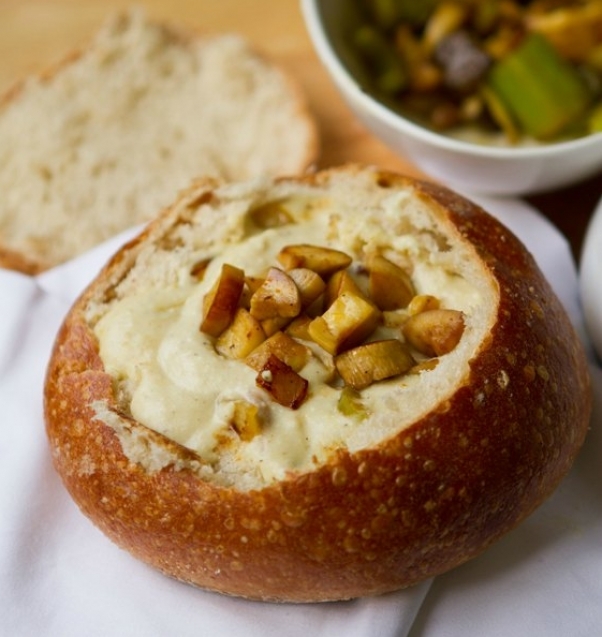 Ideally served in individual bread bowls, this vegan chowder with king oyster mushrooms and truffle oil is a festive choice for a dinner party potluck. 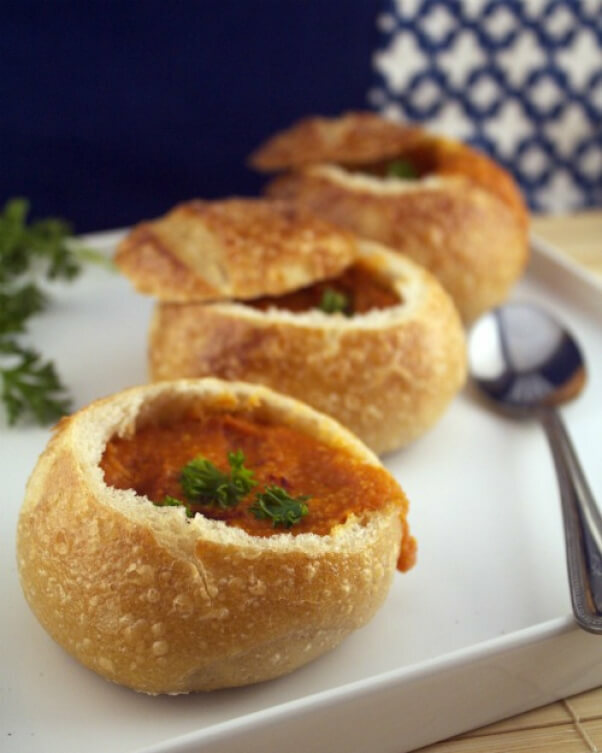 Just be sure to pack the soup and bread bowls separately and combine them when you’re ready to serve. 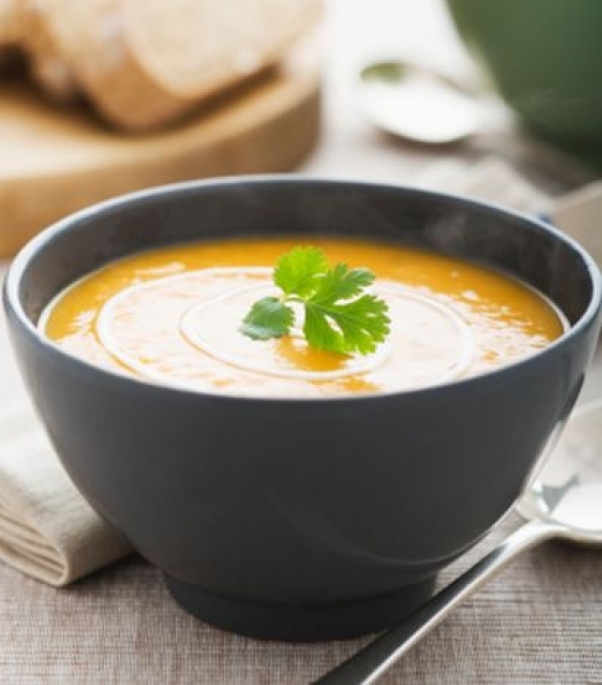 Fall and winter flavors like maple and sweet potato infuse this nourishing soup. You’ll almost certainly be back for seconds! Once again, noodle soup for the win! 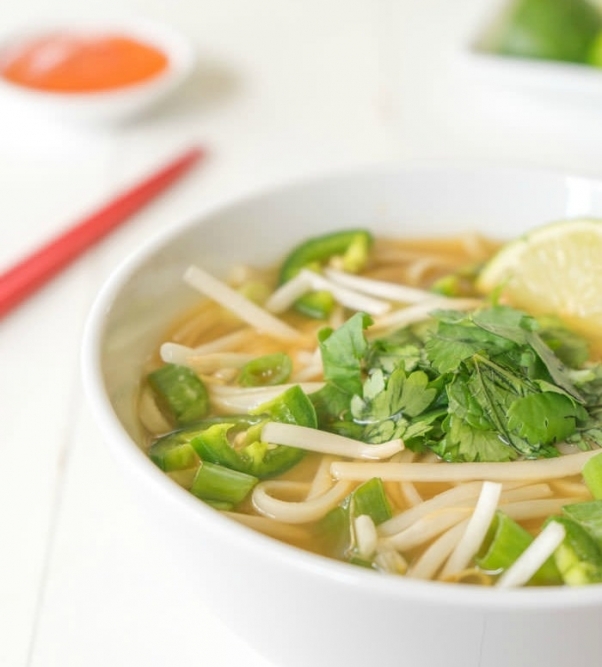 Featuring star anise, this recipe nails the unique flavor of pho broth. 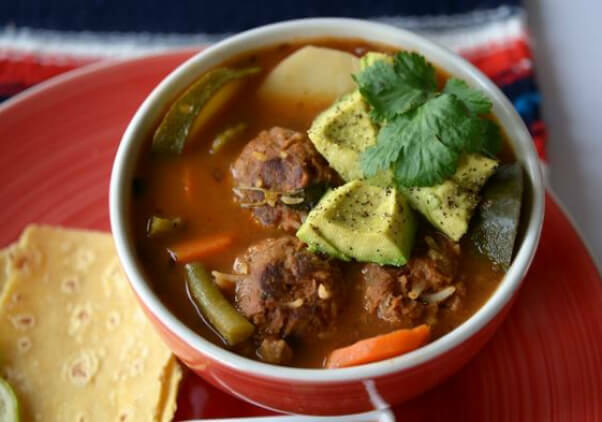 These vegan meatballs are scrumptious and fun to make, and in a vegetable broth with potatoes and avocado, they’re simply delightful.